As the years pass, we as web designers and UX experts can look back on (and sometimes laugh at) the passing trends, while looking ahead to the future. 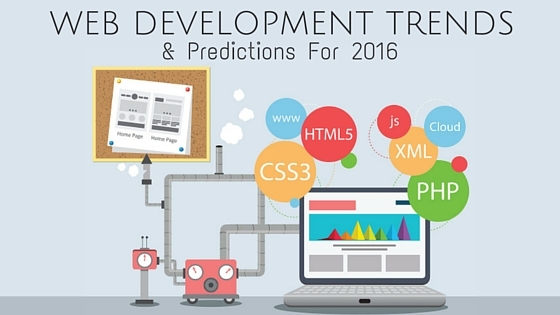 With 2015 behind us, let us examine what full-fledged Web Design and UX trends we can expect in 2016. The team at The Deep End Design compiled their own list of trends with a twist: Each one is handpicked for its potential to actually increase conversion rates. Some of the following trends have been closely studied to confirm their clickability, while others are so new that we can only anticipate their potential theoretically. But check them out, and use whichever combination makes the most sense for your next web project. There are no magic bullets; One size doesn’t fit all, and ultimately these trends will only work as well as you execute them. Enjoy the infographic, and start brainstorming about how you can increase conversions on your next project using one or more of these trends!